Kayaking as a family can be incredibly fun! 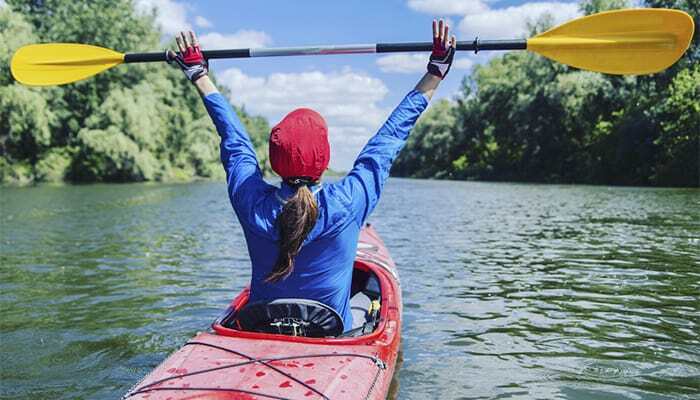 Whether you’re a seasoned kayaker or a kayaking beginner, taking the kids along requires plenty of preparation and a game plan. I’ve developed this Guide to Kayaking with Your Kids to enhance the experience and ensure a successful outing. Peruse this guide before setting out on your first family adventure, and make it a trip to remember! If you’re excited about your first family trip out, let your children know it! Encourage them to pitch in during the planning process, and ask them to help you pack beforehand. 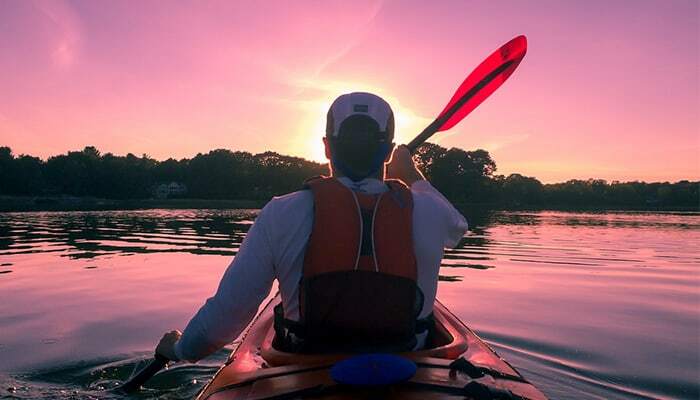 Share why kayaking is so exhilarating and fun. Tell them personal stories and favorite moments from past outings. Give each child a list of items to pack. Encourage them to check off each item as they go. 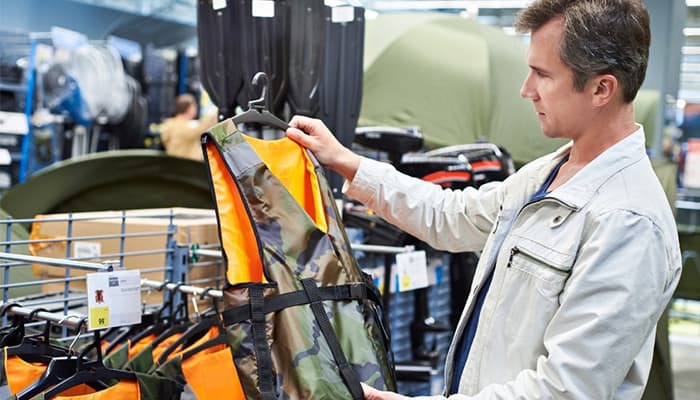 Essentials include extra sun-protective clothing, a wide-brimmed hat, waterproof boots or sandals, a rain jacket or poncho, sunglasses, and bathroom essentials. Note: Skip the cotton clothing unless the weather forecast is calling for hot conditions. Layering is best, especially with water-resistant materials. You’ll want to secure all essential items, including extra clothing, in waterproof bags and strap them down to the boat for safekeeping. Food and Water: You’ll want to take along plenty of food and water. Easy-to-tote items include fresh or dried fruit and veggies, hard-boiled eggs, trail mix, cheese cubes, and granola or meal replacement bars. Consider water pillows, in addition to individual water bottles, which can easily be stowed under seats. Note: Reminding family members to stay hydrated is important, especially on longer outings. Talk to kids ahead of time about the importance of safety on the water. Before setting out, make sure everyone uses the restroom and eats a light snack. Also, put sunscreen on before hitting the water. You should be comfortable on the water before venturing out. When going with a group, there should be experienced paddlers among the pack. 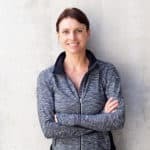 The general rule of thumb is one adult per child to start. Skill and comfort level should be determined before changing up that ratio. It’s best to avoid waves and currents when kayaking with kiddos. Opt for calm, flat waters instead, and avoid unpredictable locations. Choose a mild day with minimal wind and be sure to research currents, boat traffic, etc. in advance. If possible, ask a local paddler for advice on where to go. It’s important to keep the first few trips out short and sweet. Daylong adventures aren’t recommended for kayaking newcomers. Plan on half an hour to an hour, depending on the age, maturity, and skill level of your children. Those who are experienced paddlers, or are comfortable in water, are likely to handle longer trips well. Also keep in mind children’s individual coordination and strength. Pay close attention to how your children handle the first outing to determine any tweaks you need to make for next time. Preparing kids in advance with physical exercise can enhance the overall kayaking experience. Lift weights, swim together, go for walks or runs, or try other cardio workouts until you find one your family loves. Swimming or kayaking lessons boost kids’ confidence in the water and prepare them for the wonderful world of water sports. If you’re lucky enough to have a paddling shop nearby, stop by and ask what lessons or classes they offer. It’s also important that all paddlers learn to do a wet exit before hitting the water. 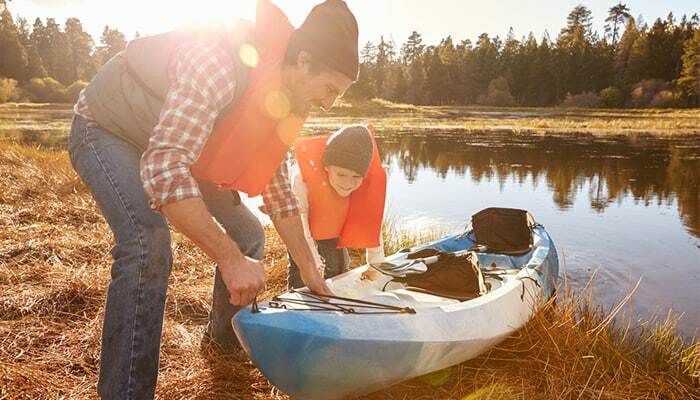 Keep in mind that older kids tend to do well with kayaks, while younger children often enjoy riding in a canoe. Regardless of the vessel, give each child a chance to paddle. For your first outing, it’s best not to plan a trip to a particular destination with a specific timeline in mind. 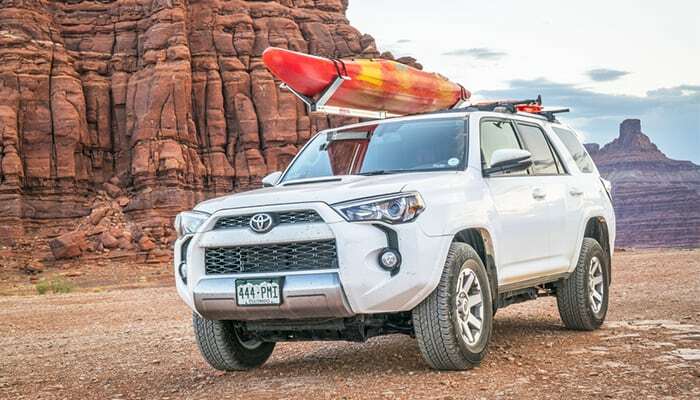 Many families choose canoes simply because they generally have more space for sitting and storage. Larger canoes can hold an entire family. 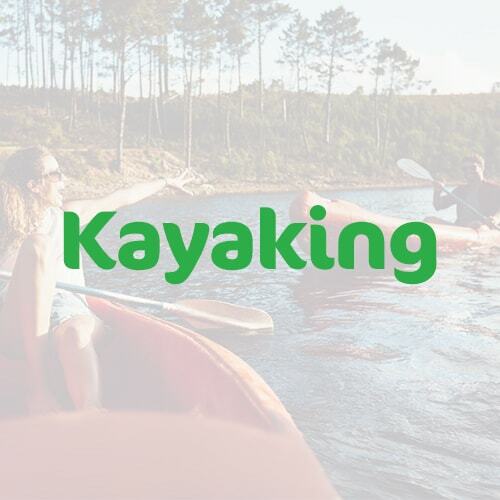 We recommend canoes over kayaks if you have younger children. Older kids tend to pick up paddling skills quickly. Be patient, and allow your kids to learn at their own pace. 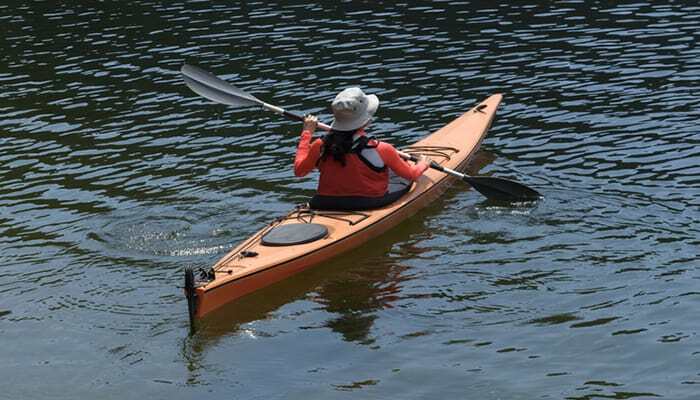 Sit-on-top: If you’re kayaking on warmer waters, a sit-on-top kayak will do. Some sit-on-top kayaks can fit up to three small kids. 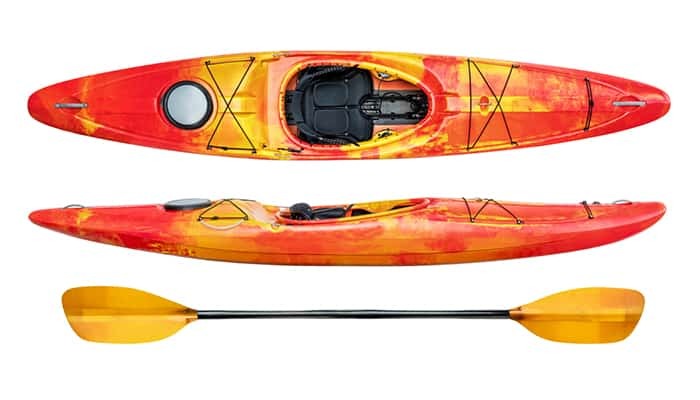 Inflatable kayaks are also a convenient option, making for easy portability and storage. 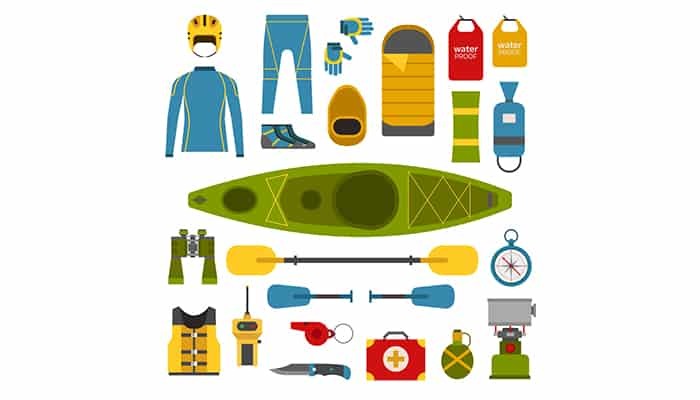 Decked: For those cold water outings, we recommend a decked kayak or canoe and a spray deck to protect riders and to keep the vessel from filling with water. It’s best for children to sit in the bow, as the middle is intended for storage and not riders. However, if waters are calm, sitting in the center of a kayak should be just fine. It’s important to prioritize safety and your children’s comfort level before setting out on the water. You’ll also need to take your kids’ ages, sizes, and paddling experience into consideration when deciding on a single or tandem kayak. Small children typically do best as duffers, while older kids are often good paddlers. Duffing is a great way to get small children acquainted with the vessel and being on the water. Children under 8 tend to do best as a duffer or bow rider in a double kayak or canoe. Children 8 and over are often able to paddle in a double kayak or canoe. Kids 10 and over with paddling experience should be able to handle a single small kayak. 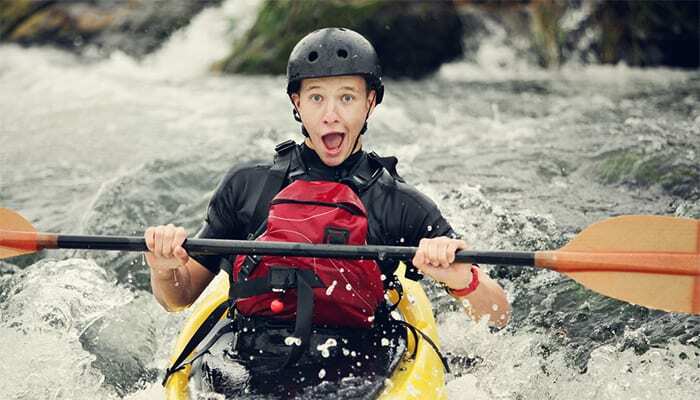 Kids 14 and over with paddling experience can generally handle a single medium kayak or a single small canoe. Paddles: Let your child try out different paddles, if possible, to ensure a great fit. There are a variety of sizes available. Start by testing paddles with a length of 190-200cm. I recommend visiting a dedicated paddling store to get a feel for various paddles. Some manufacturers even make custom paddles. Personal Flotation Devices (PFDs): From babies to adults, everyone is required to wear a PFD for safety. Infant-sized PFDs are appropriate for babies from 8-30lbs. Children-specific models are for kids 30-50lbs, and youth-sized versions fit children from 50-90lbs. Be sure to pick up U.S. Coast Guard-approved models, and try PFDs out before your first adventure. This is especially important for babies and young children, who often aren’t fans of wearing PFDs for any length of time. Lines and Floats: For each adult rider, you’ll need a paddle float and throw bag. You’ll also need a tow line for each vessel. These devices are used in emergency situations. Every rider should be comfortable doing a wet exit, and should also know how to use lines and floats when needed. 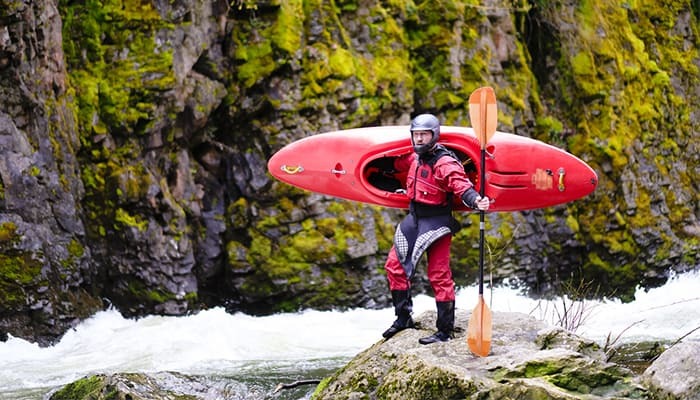 Some paddling shops offer classes and lessons, which cover these important topics. Note: It is dangerous to tie or tether a child to any vessel. When it’s time to set out, double check that everyone’s PFDs are on and secure, and make a plan with fellow adult paddlers. Stay within earshot of each other, especially in rockier waters. Go over the rules with children one last time. During your adventure, keep children in the know. Explain techniques as you go, and encourage older children to try paddling. Invite kids to ask questions, and be sure to share in their enthusiasm. Leave all expectations on the land. Go at your children’s pace and allow them to take breaks while paddling. Praise them for their efforts and talents, and don’t push them beyond their limits. Encourage the kids to take in their surroundings, and don’t forget to enjoy the experience yourself. If things don’t go as planned, focus on the good and let go of the bad. Singing songs or playing games can alleviate boredom for young paddlers. If older kids get tired of paddling, a tow is always an option. Keep things light, and above all else, have fun! Kayaking is a great bonding activity for families. Regardless of skill set or age, getting out on the water will make memories your family will cherish forever.